You used my favorite jammie pattern! Yay! Great job and I love your idea about the long back facing. I will add that to the next batch I do. One of these days I will make myself a pair of jammies from this pattern. I love how it has all the sizes and is unixex too. 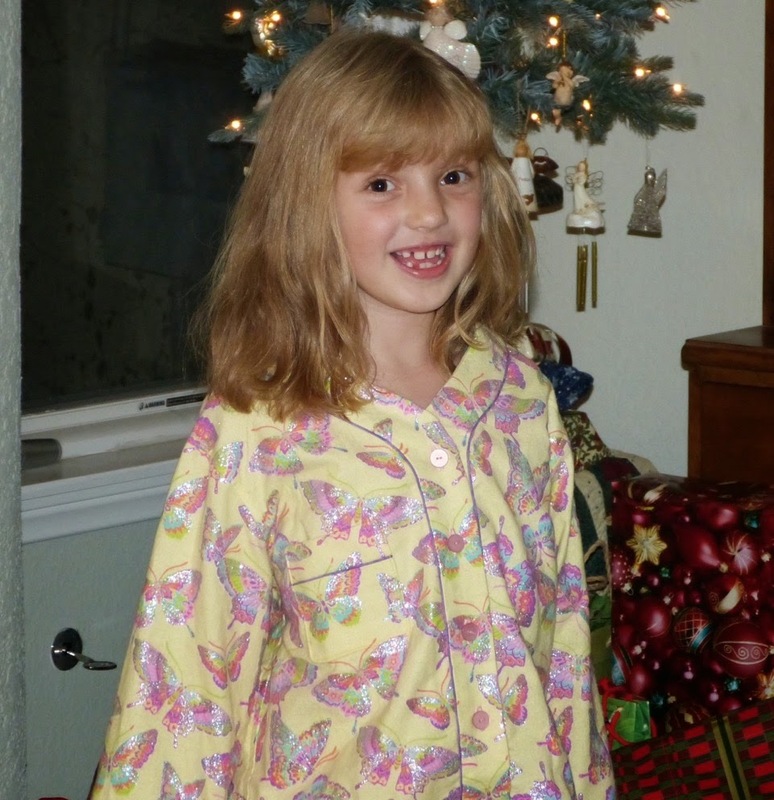 Your grandaughter is adorable and just sparkles in her butterfly jammies. Nice work, Cynthia! They're delightful, and I'm sure she was as thrilled as she looks!